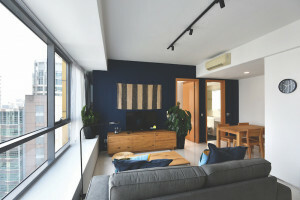 Co-living operator Hmlet has signed a new property in the Tanjong Pagar/Cantonment downtown area -- its largest dedicated co-living building so far. Located at 150 Cantonment Road, the property is also known as Cantonment Centre. The property will comprise 150 rooms which will be operated as serviced apartment units; they will be housed in two 3-storey blocks that have a total gross floor area of 47,352 sq ft. The property is on a 76,003 sq ft site that is close to the Tanjong Pagar MRT Station and Outram Park MRT interchange. The property was part of a government tender for the rental of state property. The tender was awarded to LHN Facilities Management, which is an indirect subsidiary of Singapore-based real estate management services group LHN Limited. LHN will fully customise the design and renovation of the property to Hmlet’s requirements, and build additional facilities like a swimming pool, a gym, and an all-day, in-house café. The refurbished property will open in July. Hmlet is set to raise its membership numbers to more than 2,400 in the Asia-Pacific this year.